CEO John Legere’s pledge, in testimony prepared for a hearing Wednesday before a congressional panel, is in response to critics who’ve raised the issue of the Chinese equipment maker as a risk to national security to build opposition to the proposed T-Mobile-Sprint deal. T-Mobile US Chief Executive Officer John Legere says his company doesn’t use equipment from Huawei Technologies and won’t after buying Sprint to form a bigger No. 3 in the U.S. wireless market. “Let me be clear —- we do not use Huawei or ZTE network equipment in any area of our network. Period. And we will never use it in our 5G network,” Legere said in written testimony prepared for a hearing Wednesday before the House Energy Committee’s communications and technology subcommittee. The statement is in response to critics who’ve raised the issue of the Chinese equipment maker as a risk to national security to build opposition to the proposed $26.5 billion merger between Bellevue-based T-Mobile and Sprint. Sprint parent SoftBank Group has “significant ties” to Huawei, as does T-Mobile parent Deutsche Telekom, according to Carri Bennet, general counsel for the Rural Wireless Association that represents smaller competitors to the merging parties. Huawei supplies Deutsche Telekom, according to data compiled by Bloomberg. “Allowing a Japanese-influenced company and German-influenced company to merger when both have significant 5G ties to Huawei appears to run counter to U.S. national- security concerns,” Bennet said in testimony submitted for the hearing. Lawmakers and the administration of President Donald Trump say Huawei poses a potential security threat, if only because it can’t buck orders from China’s government. Secretary of State Michael Pompeo this week urged Europeans to shun the Shenzhen-based company. Huawei says it’s privately held, doesn’t take orders from the Beijing government, and wouldn’t do so because that would ruin its business that relies on income worldwide. The Federal Communications Commission is considering whether to effectively ban Huawei from U.S. networks; already the company’s gear is effectively limited to small providers attracted by low prices. Still, critics bring up Huawei and perils that are likewise ascribed to ZTE, another Chinese gear maker. “T-Mobile, Sprint, and their parent companies refuse to commit to the American public not to use the Chinese companies in building 5G infrastructure if allowed to merge,” Protect America’s Wireless, a group that has held several news conferences critical of the merger, said in a Tuesday news release. The group has refused to disclose its backers. Legere seemed to have the group in mind. A U.S. watchdog group that checks the national- security implications of deals — the Committee on Foreign Investment in the U.S., or CFIUS — has approved the proposed merger, the companies said in December. It’s not clear how much weight the security concerns will carry in the debate. Nine U.S. senators in a Tuesday letter raised other concerns as they urged the FCC and Justice Department to kill the deal. Problems with the proposed merger include less competition, higher prices and lost jobs, the lawmakers said. Legere argues that the merger will produce more jobs, lower prices and more competition for market leaders AT&T and Verizont. Sprint Executive Chairman Marcelo Claure in prepared testimony said the merger will give the combined company resources to build a “transformative” 5G network offering high speeds. 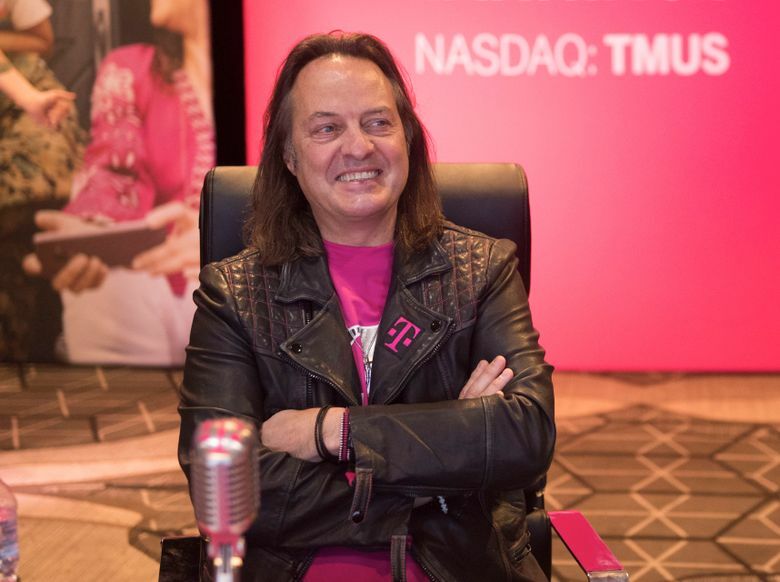 Without apparent prompting, Legere last week promised that T-Mobile won’t raise rates after buying Sprint, offering consumers the same or better plans for three years. Analysts and deal opponents say Legere’s pledge might be a sign that the company has run into concerns from regulators that the merger will reduce competition and lead to high bills for consumers. Otherwise, Legere wouldn’t need to make the commitment, they say. Antitrust enforcers at the Justice Department want competitive markets to keep prices in check, not promises from companies, said Blair Levin, an analyst at New Street Research. is included in this report.